It’s no question that the F-150 has been Canada’s best-selling pickup truck for a reason. With its fuel-efficient performance and revolutionary technology, it’s obvious to see why the F-150 has held that title for so long. But, how does the F-150 compare to other trucks on the market? The short answer for this is ‘very well’, especially against a lot of the pickup truck veterans in the game. 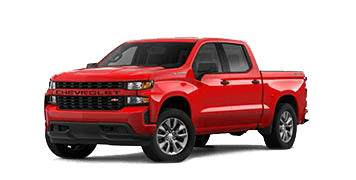 When comparing the Chevrolet Silverado to Ford’s landmark pickup, it’s evident that there’s work to be done. Take a look at our comparison below. Like most Ford vehicles, the F-150 excels in doing more with less. Its 3.5L EcoBoost® engine comes paired with the excellent 10-speed automatic transmission and outperforms the Silverado in both horsepower and torque. Additionally, the F-150 also has higher towing and payload capacities to help you get the job done. Not only does the F-150 give you better performance, but it also offers more with its lower MSRP. 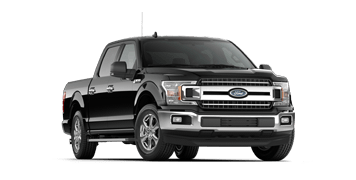 For starters, the F-150 has a bigger pickup cargo volume, along with extra amenities and features such as a security keypad, remove engine start via the FordPass™ app, and voice-activated controls via the SYNC® system. See the F-150’s winning combination for yourself!